American duo Thievery Corporation will be bringing their sound to Beat & Raw this Friday, July 27th, at Space, Ibiza. Also appearing will be The Subs, Lazer Sword, Jacob Plant and Dub Elements, all adding their own unique twists to the night. Washington duo Thievery Corporation, who along with 12 session musicians, will demonstrate their renowned performance on stage with a combination of electronic downtempo and dub, acid jazz and ethnic music rhythms from around the world. Rob Garza and Eric Hilton have seven studio albums under their belt, and having established themselves as one of the leading representatives of the "lounge" sound, they give high quality, eclectic performances surrounded by musicians and vocalists. Their lyrics reflect their political activism – which is very critical of the policy of their country, especially with the war in Iraq. Publishing their work under their own label, Eighteenth Street Lounge, gives them a broad creative freedom and has seen them challenge, explore, and create some of the deepest, most thought provoking messages through their music, which led to a Grammy Award nomination and the ability to make the masses question the social confinements of society. Powerful stuff. 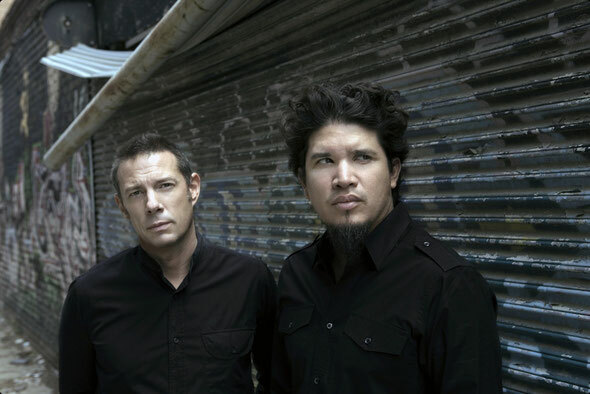 Thievery Corporation’s music has also been part of several soundtracks and video games. 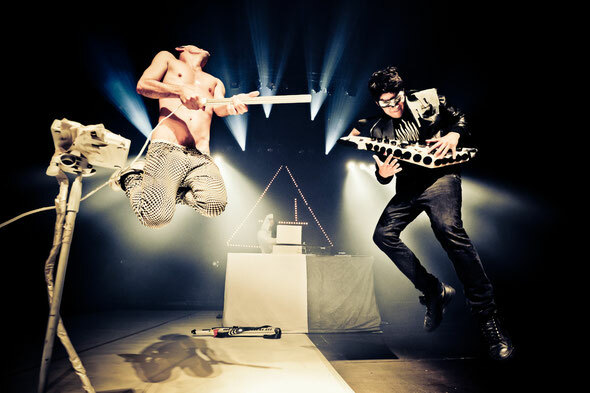 The Subs bring a live performance full of techno and electro sounds after sweeping the public off its feet in different parts of Europe, including such complicated scenes as the French electronic music landscape. "When it’s live it’s magical, it’s like making love, playing music. It’s an interaction with your audience. You interact with it and that's when the magic happens," says The Subs, also known as Jeroen de Pessemier aka Papillon, Wiebe Loccufier aka DJ Tonic, and Luca di Ferdinando aka Highbloo. Expect the unexpected and a handful of chaos from these guys who have progressed into a fully-fledged, all hands on deck, force of music. Also performing will be Lazer Sword, a pair of Americans by the names of Lando Kal and Low Limit who have managed to evolve from their original hip hop sound to the electro, dubstep and drum & bass rhythms reflected in their latest work ‘Memory’. Jacob Plant, Dub Elements and Beat & Raw residents Allan Ramirez, Daisy Heartbreaker and Ramon Castells complete the line up.